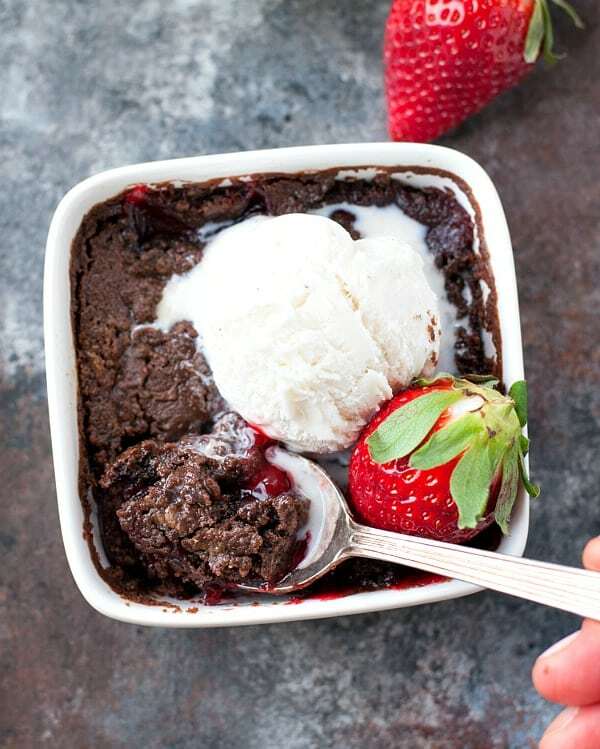 Make dessert quick, easy, and incredibly delicious with a 3-Ingredient Strawberry Chocolate Dump Cake for Two that's ready for the oven in just 5 minutes! The perfect Valentine's Day treat! 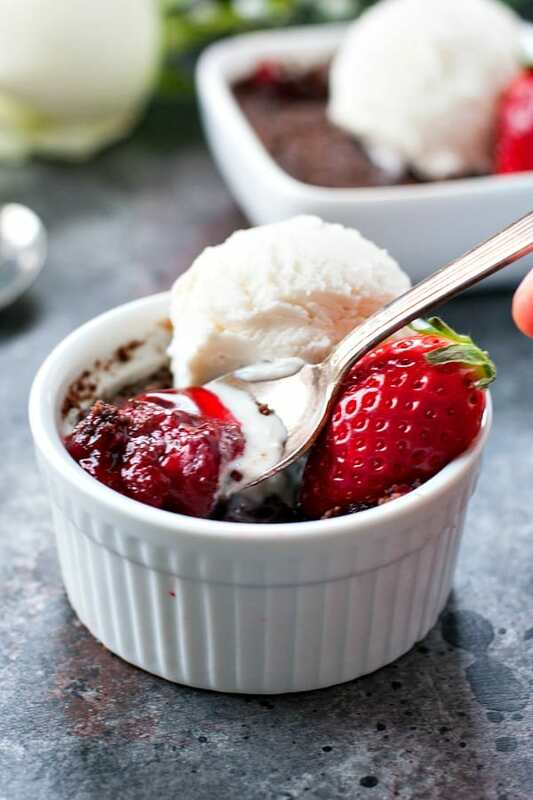 Make dessert quick, easy, and incredibly delicious with a 3-Ingredient Strawberry Chocolate Dump Cake for Two that’s ready for the oven in just 5 minutes! The perfect Valentine’s Day treat! 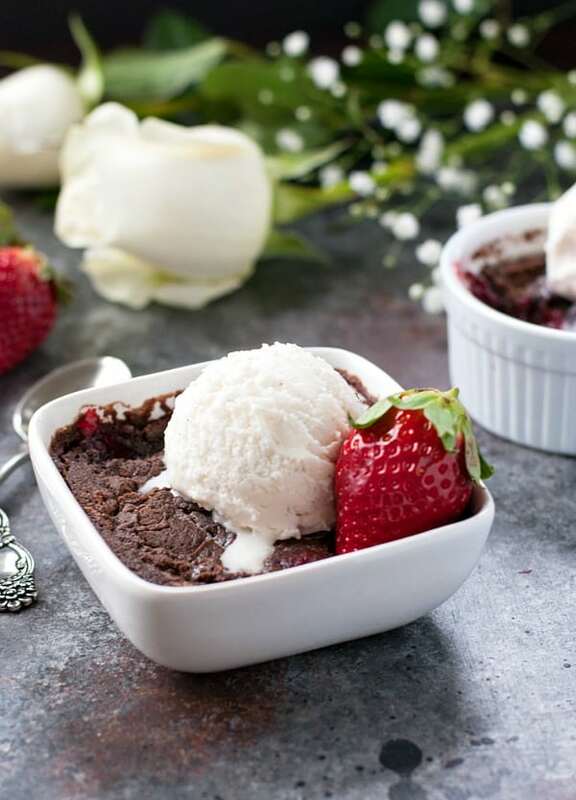 Whether you need a single-serving treat to satisfy a sweet tooth, a special dessert for a romantic date night for two, or a full-size cake to feed a crowd, this rich and fudgy chocolate dump cake is a perfect solution — no baking skills required! 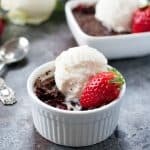 WHAT IS STRAWBERRY CHOCOLATE DUMP CAKE? 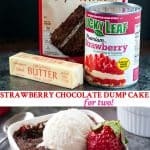 It’s got a funny name, so let’s first explain what I mean by “dump cake.” While it starts with a box of chocolate cake mix, this dessert is really more like a Strawberry Chocolate Dump Cobbler or a Strawberry Crisp with Chocolate Cake Mix, because the cake batter forms a buttery crumb topping over the strawberry filling. The name of the dessert probably gives it away, but basically you are just dumping 3 ingredients into a dish and baking them together in the oven. That’s it! You don’t have to pull out a single mixing bowl, spatula, or whisk! 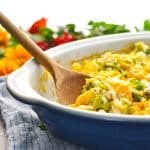 This is one of those recipes that is perfect for busy moms like myself who want to share comforting recipes with their families, but who don’t always have the luxury of time. 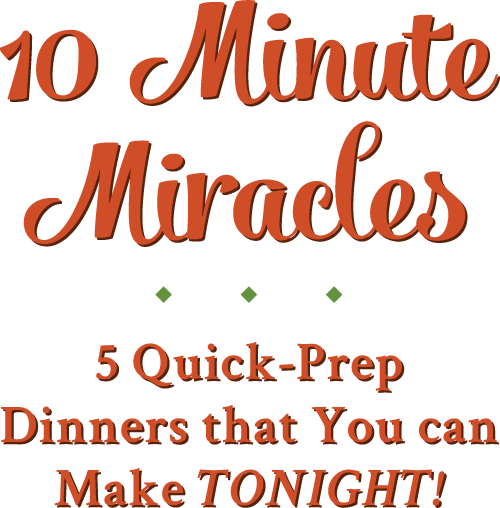 And believe me — you’re not sacrificing quality or taste in this easy recipe! 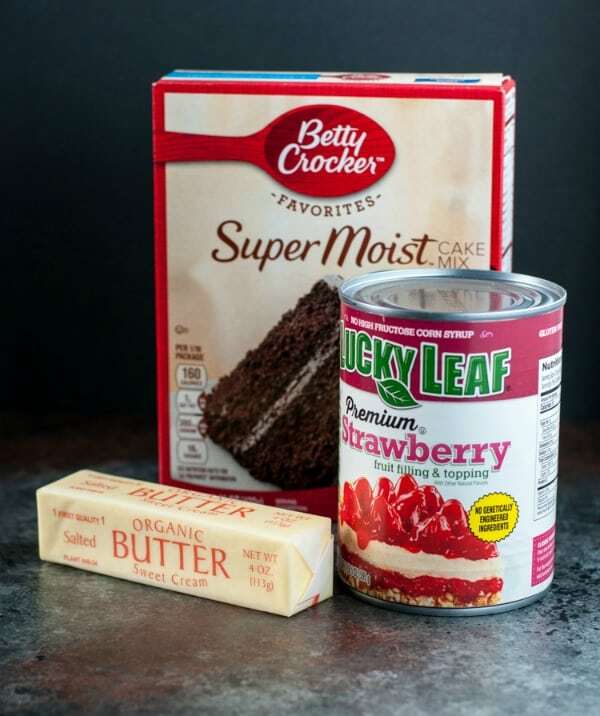 Let’s start with the 3 ingredients for this Chocolate Dump Cake with strawberries: a box of chocolate cake mix, a can of strawberry pie filling, and butter. 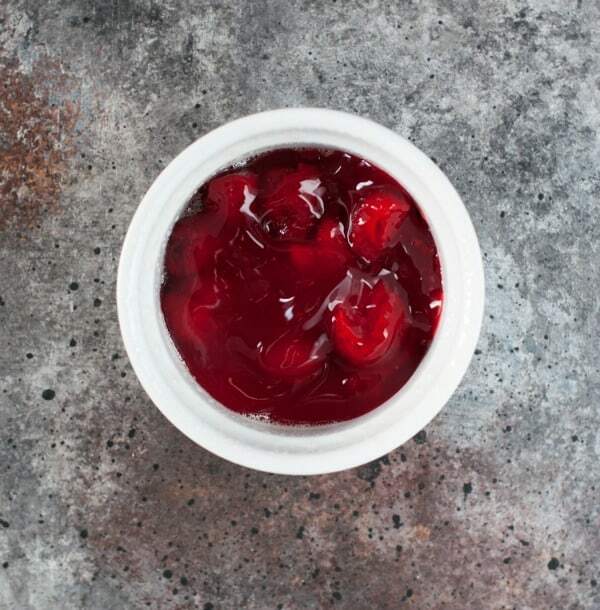 Step 1: Place strawberry filling in a small ramekin or oven-safe bowl. Step 2: Sprinkle dry chocolate cake mix over top. 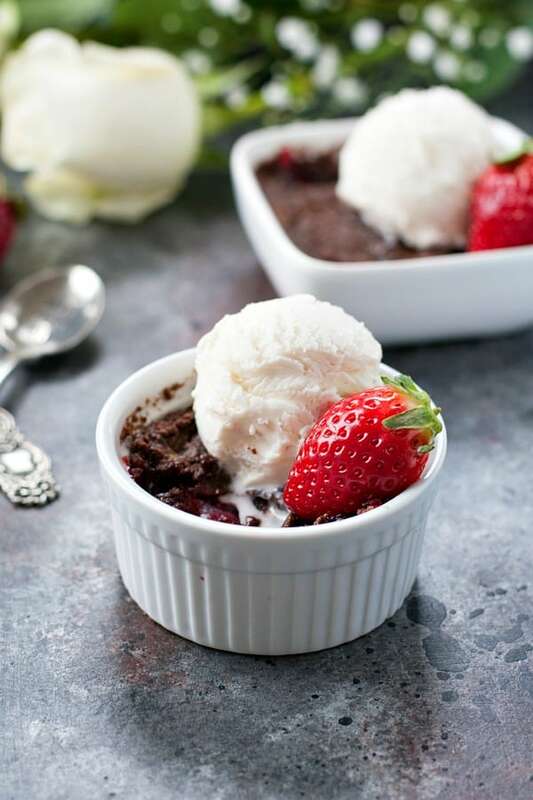 Step 4: Bake in the oven for about 30 minutes, top with ice cream, whipped cream and/or fresh berries and serve warm! These individually-portioned miniature chocolate dump cakes have a rich fudgy crust and a warm, gooey molten chocolate inside! Make a Chocolate Cherry Dump Cake by using a cherry pie filling instead of the strawberry filling. Substitute your favorite flavor of pie filling for the strawberry flavor. Instead of a cherry dump cake, try a Blueberry Dump Cake! Apple pie filling with a spice cake topping would also be divine! Don’t love chocolate? Make a vanilla dump cake by using yellow cake mix instead of chocolate cake mix! Want a Single-Serve Option? Want to Serve Four? 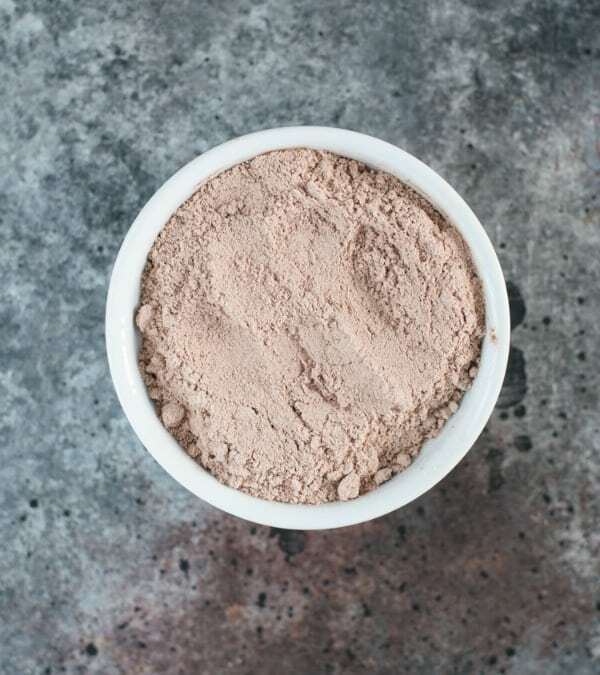 You can scale the ingredients for as many servings as you need. Cut the ingredients in half for one cake, or double them for four cakes. Want to Prepare a Full-Size Cake to Serve a Crowd? Use an entire 21-ounce can of pie filling, an entire 15.25 ounce box of cake mix, and a full stick of butter. Bake the cake in a 13-inch by 9-inch baking dish at 350 degrees F for about 40 minutes. Spray two ramekins, large mugs, or oven-safe bowls with cooking spray. Place ¼ cup of strawberry pie filling in each ramekin. Sprinkle ¼ cup dry cake mix over pie filling in each ramekin. 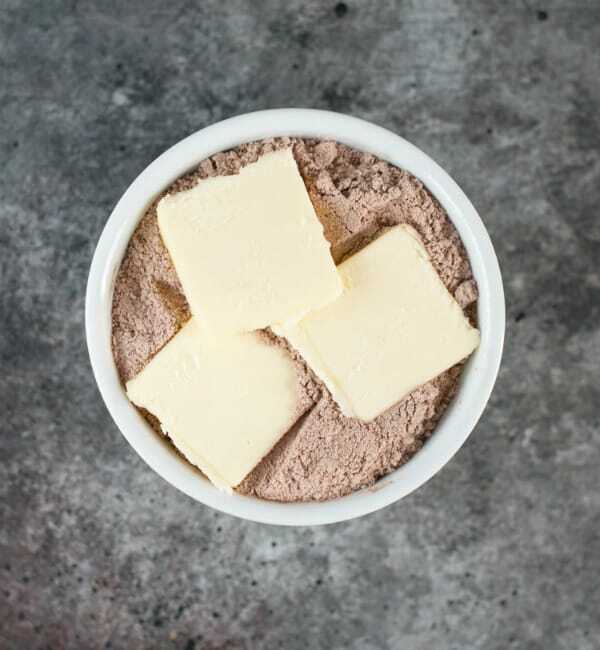 Divide butter over top of the cake mix in each ramekin, trying to cover as much of the cake mix as possible. Place ramekins on a baking sheet and put in the oven. Bake for 30-35 minutes (or until cooked through and bubbly). Don't love chocolate? Make a vanilla dump cake by using yellow cake mix instead of chocolate cake mix! 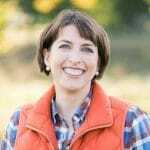 This post was originally published in January, 2017. It was updated in January, 2019. Dump cakes are my favorite! I just discovered them a few years ago, and whenever I need a quick dessert for a party, that’s my go-to dish. I love this chocolate strawberry version, Blair! How fun would this be for Valentine’s Day! Aren’t they the best? This is by far my favorite version yet! I started making dump cakes a few years ago. 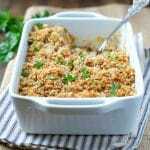 So easy and delicious to eat! These look so cute and delicious! I’m definitely a baker, but sometimes I just want a simple, no-mess, no-fuss dessert. 🙂 This one looks like a keeper! Hey, Valentina! This is definitely no-fuss, but oh-so-good! When I make this dump cake, I melt the butter (unsalted) and mix it with the day cake mix and spread over the pie filling. Try with other pie fillers for variety. My daughter loves to sub blueberry, my husband likes cherry and this week, I am going to experiment with lemon. 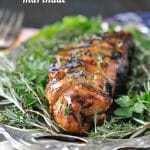 Thanks for all your recipes; while I do not make all of them, they provide inspiration and that is always a good thing! Warm wishes for many more anniversaries! What size ramekins did you use? If you need 0.5 cup filling and 0.5 cup cake mix…is an 8 oz ramekin enough? Can I use a 6 oz ramekin? Cake for two? This sounds like a deeeeeeeeeelicious idea! What a clever idea using strawberry pie filling too! 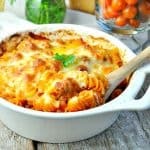 This recipe is a godsend! It is perfect for when I have surprise guests over but I don’t have the time to prepare somethign more elaborate. So delicious, too! I just made this for Valentine’s Day it is cooling right now but it looks so good and smells amazing! Blair, how about using chocolate pie filling with a red velvet cake mix, topped with the butter slices. Trying to make a cake for two birthdays to meet what both like.